Live from our installation crew in Downingtown. We are installing a new drip irrigation system. 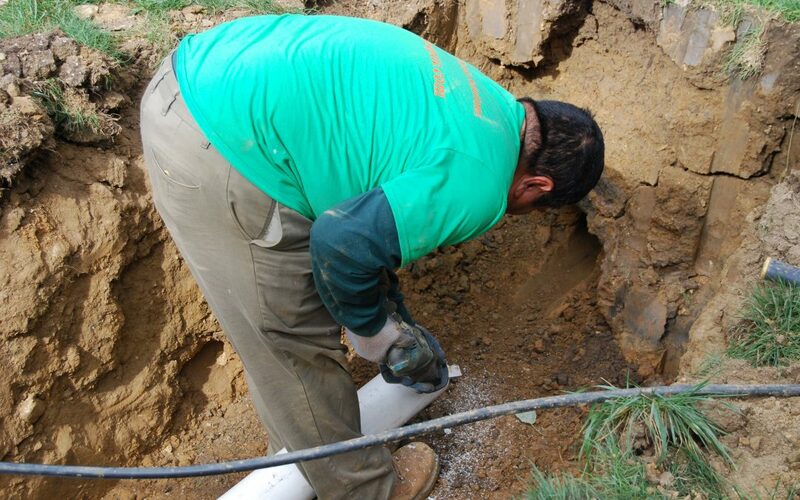 Angel is getting ready to send new pipe underneath the driveway. Angel uses his saw to shave down the end of the new pipe so that it will fit through the hole that goes under the driveway.